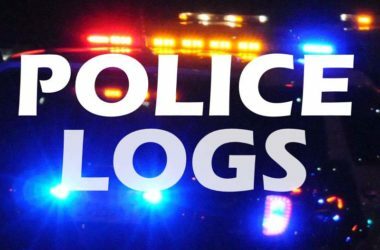 Latest local police logs include reports of a resident’s boat being lit on fire after midnight, grand theft at Old Navy, and a homeless woman reportedly assaulting a pedestrian. The following is a summary of select incidents listed in the Citrus Heights Police Department’s daily incident bulletins for Wednesday, April 3, 2019. Additional bulletins are linked at the end of this article. Wednesday, April 3, 2019: Total of 70 incidents listed. Incident report categories of note: 22 calls regarding suspicious activities, 21 disturbance-related, 13 homeless/transient-related, 1 grand theft, 1 petty theft, 1 burglary, 2 assault reports, 6 collisions, no stolen vehicles, and 2 reports of domestic violence. 1:11 a.m., Arson, San Juan Ave. An unknown suspect reportedly lit a resident’s boat on fire on San Juan Avenue. 8:29 a.m., Burglary, Sierra Oaks Apartments on Auburn Blvd. A caller said they believed someone had tried to break into their apartment on the 7600 block of Auburn Boulevard overnight. 8:31 a.m., Assault, Boost Mobile at Auburn/Greenback. A homeless woman reportedly punched a pedestrian while she was walking across a crosswalk at Auburn Boulevard and Greenback Lane. 11:28 a.m., Collision Non Injury, 7-Eleven at Mariposa/Greenback. Someone reportedly backed into a patrol vehicle in the 7-Eleven parking lot. 2:32 p.m., Suspicious Circumstances, Greenback Ln. Transients reportedly broke into an abandoned barber shop on Greenback Lane and were outside arguing in front of the building. 3:32 p.m., Assault, Crosswood Oak Retirement Community. Police were advised that an assault involving a carpet cleaner and a tenant had occurred at a retirement community off Auburn Boulevard. 3:35 p.m., Petty Theft, Ulta on Sunrise Blvd. Three known suspects reportedly stole $400 worth in items from Ulta. The individuals had reportedly been inside the store several times the same week. 6:01 p.m., Suspicious Circumstances, Sperry Drive. A “possible transient subject” reportedly walked into a house and out the back door yelling that he knew the caller’s son. The caller told police that they do not have a son. 6:30 p.m., Grand Theft, Old Navy on Birdcage Centre Ln. Three women reportedly walked out of Old Navy with approximately $1,000 in items they did not pay for.